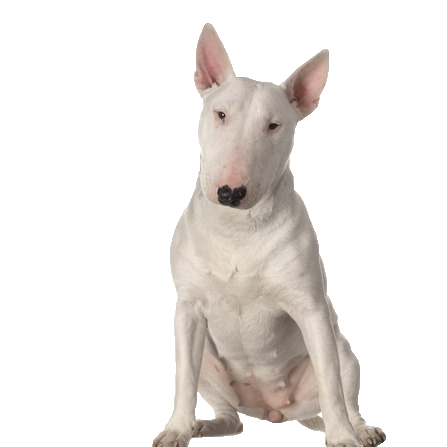 Your bull terrier is courageous, active, clownish, exuberant and fearless. He enjoys spending time with you and relies on comprehensive socialisation and training from a young age to manage his energy in a positive way. His exuberance around everyone is contagious and he has naughty stubborn streak that you can’t help but find endearing! His breed has a tendency to develop obsessive compulsive like habits such as excessive licking and tail chasing, especially during times of stress or separation. Limit this by providing plenty of entertainment with training or playtime with our selection of delicious natural treats.